Founded in 2010, Catskill Distilling is one of the first farm distilleries in NYS. You can see the workings of a NYS farm distillery in action during distillery tours. Taste our award winning spirits. 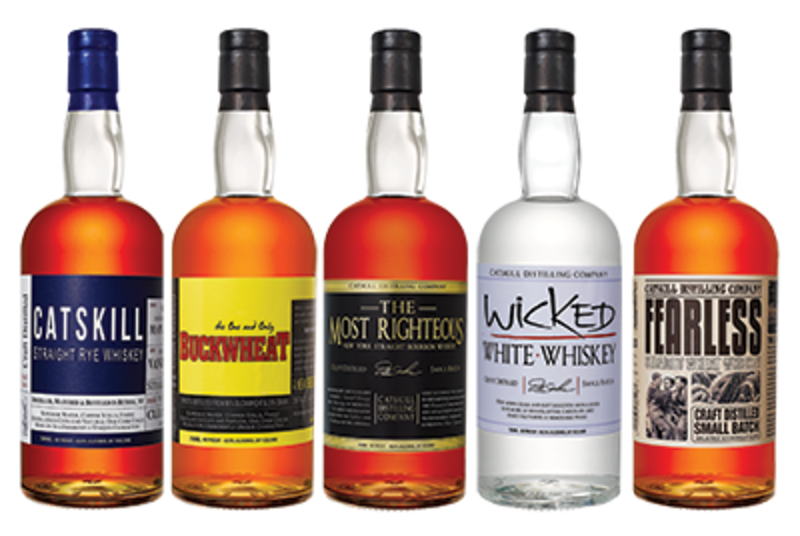 We currently produce 8 spirits from locally grown grains, fruits & botanicals. Our spirits contain NO additives. The tasting room showcases the restored bar from the 1939 Worlds Fair in Queens and hosts musical, art & educational events as well as private parties. Dine at the Dancing Cat Saloon during your visit!Catskill Distilling Company offers Private Catered Events from Meetings to Weddings in the Catskill Distilling Tasting Room, Outside and in our adjacent restaurant, the Dancing Cat Saloon. Check site or e-mail for more information and to plan a truly unique event.